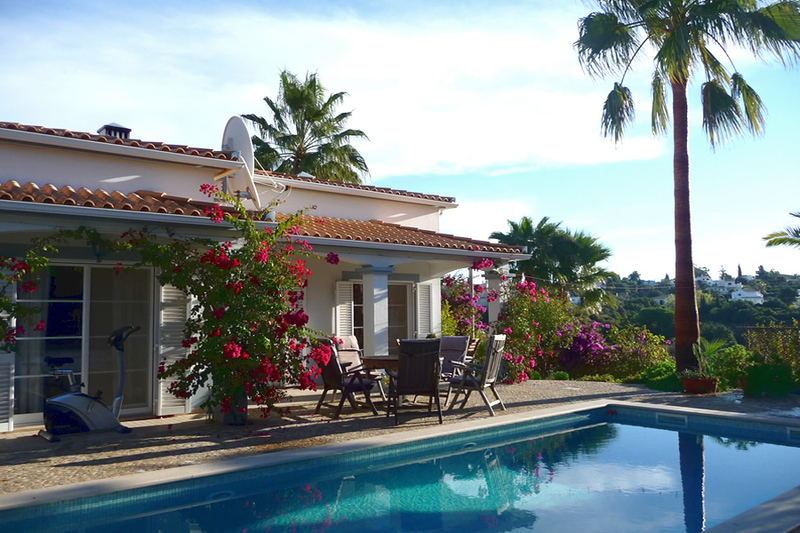 Casa Cynmar, a very well presented three bedroom, air conditioned villa with a private swimming pool. 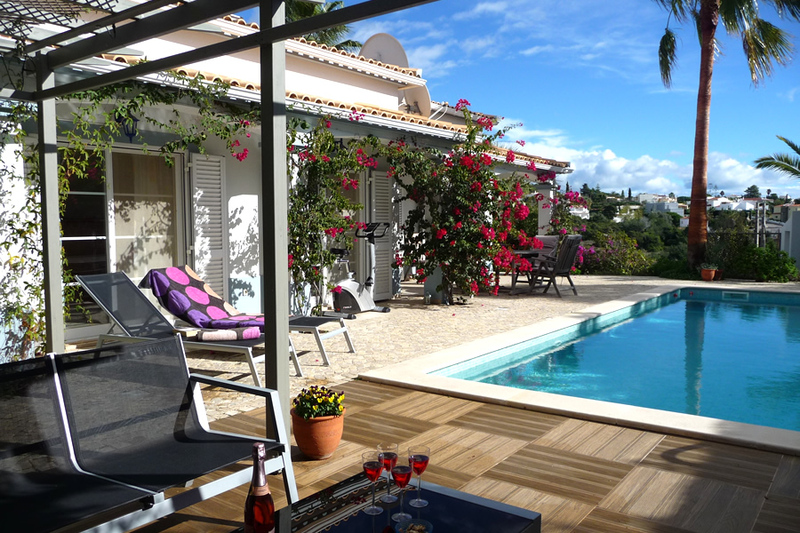 The villa is located in a very nice residential area in Carvoeiro. 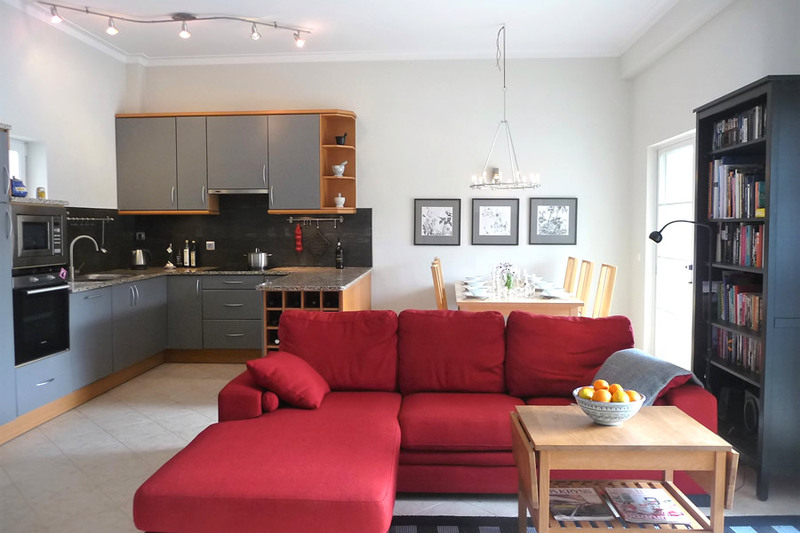 The villa is about a 15 minute walk to town and its location allows you to access either side of town in equal time. The villa has lockable entrance gates and is fenced all the way around, providing additional security. The villa has free high speed wireless internet for guests. The pool can be heated at 150 Euros per week. 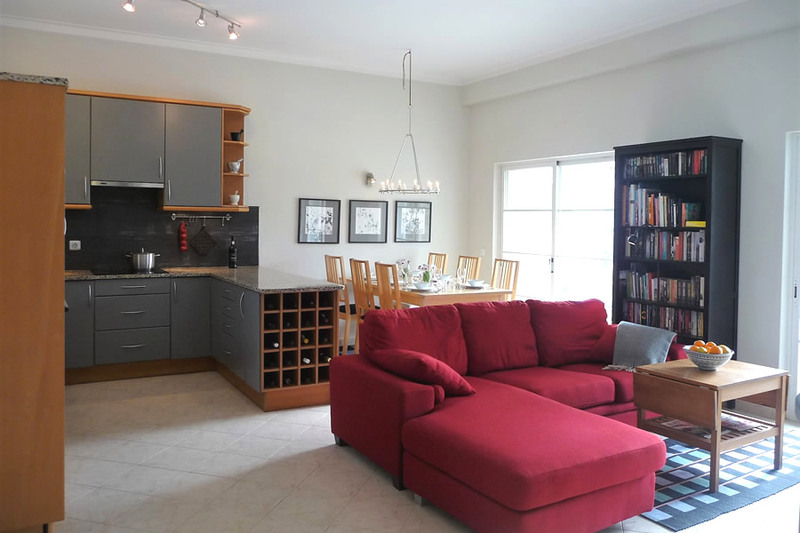 Accommodation is on one level, consisting of an entrance hallway, fully fitted modern open plan kitchen (with dishwasher) to the dining area & lounge with patio doors leading to the swimming pool terrace. 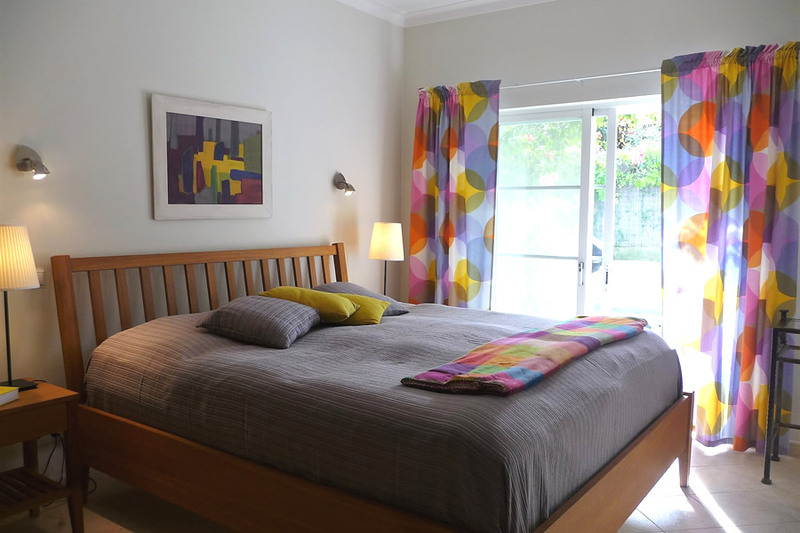 The good sized master bedroom has a superking bed, full en-suite facilities including walk-in shower and patio doors leading to the pool terrace. 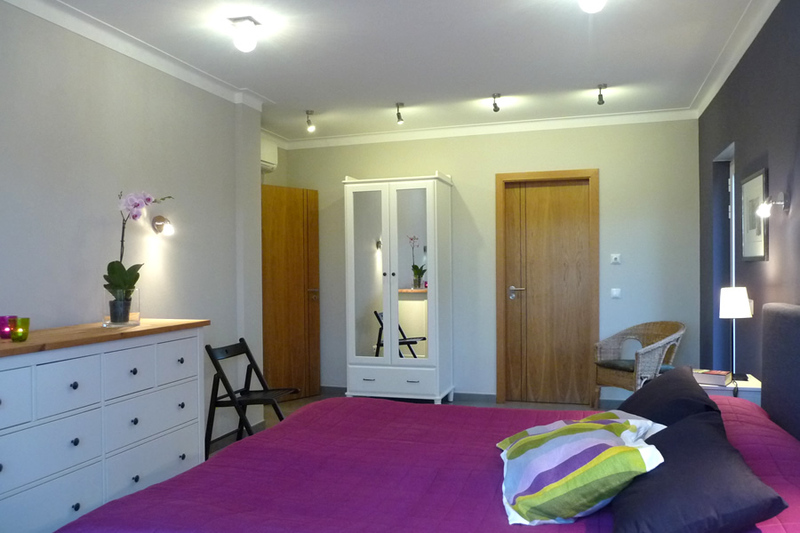 The second bedroom is also generous in size and made up of two singles beds. There is a large base with 2 single mattresses. 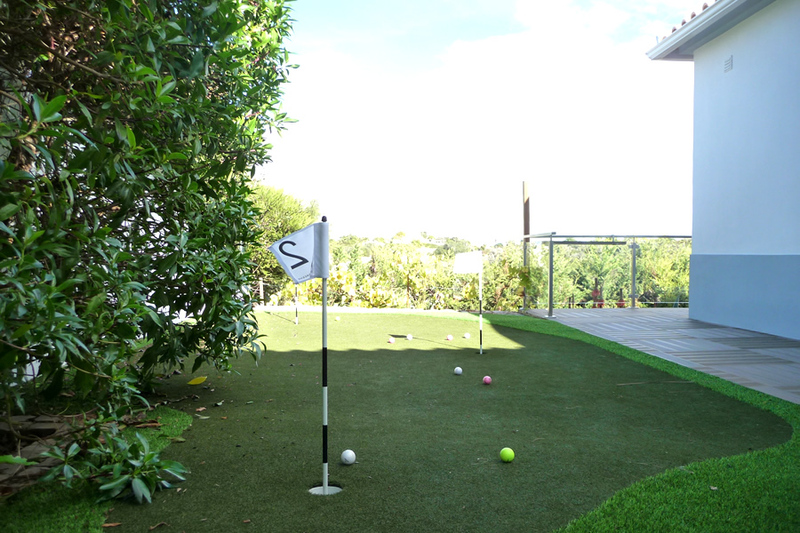 There is an external door leading to the side terrace complete with quality putting green – not many of these around. 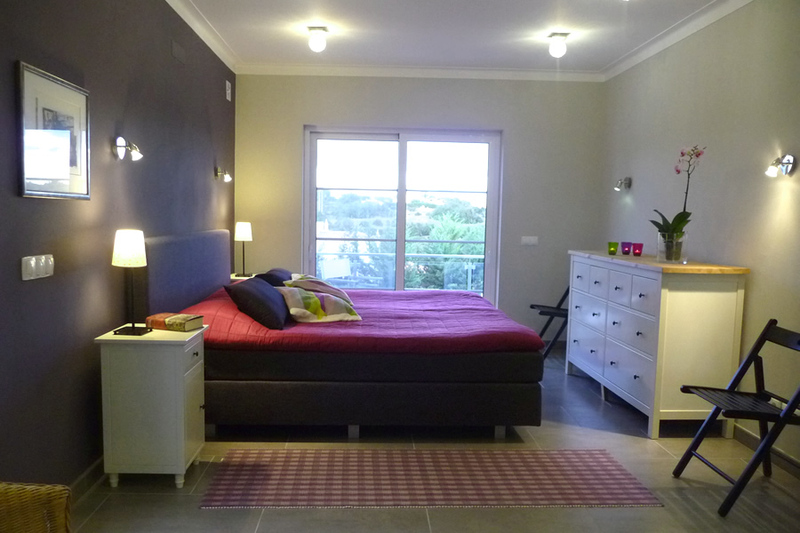 This bedroom also has a patio door leading to a small terrace at the front of the villa. 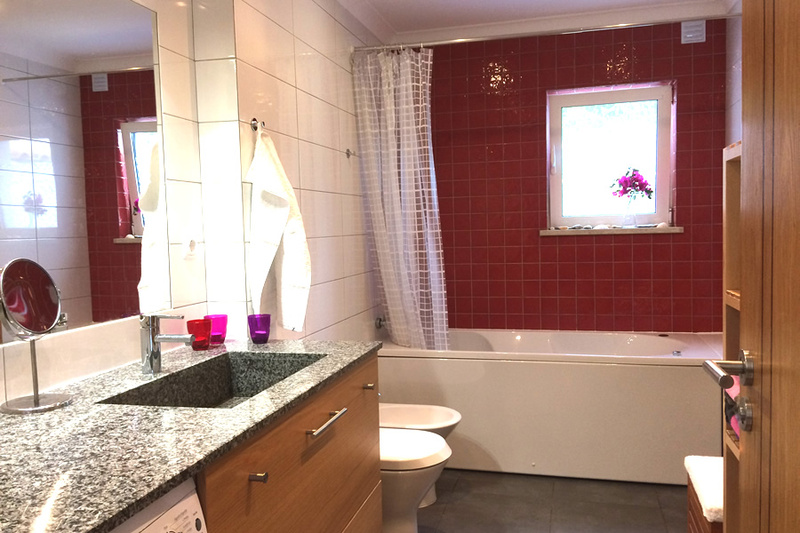 The house bathroom has two doors, one from the lounge and a door from the bedroom meaning it can be used as an en-suite. 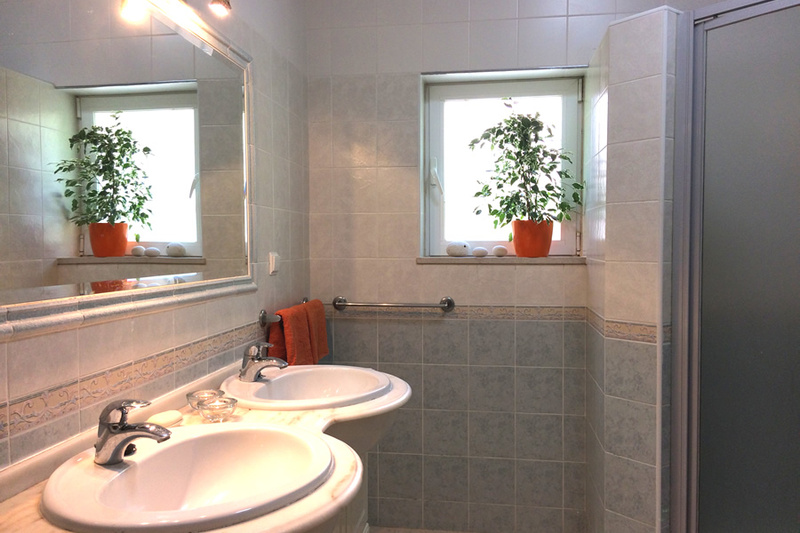 The washing machine is located in this room. 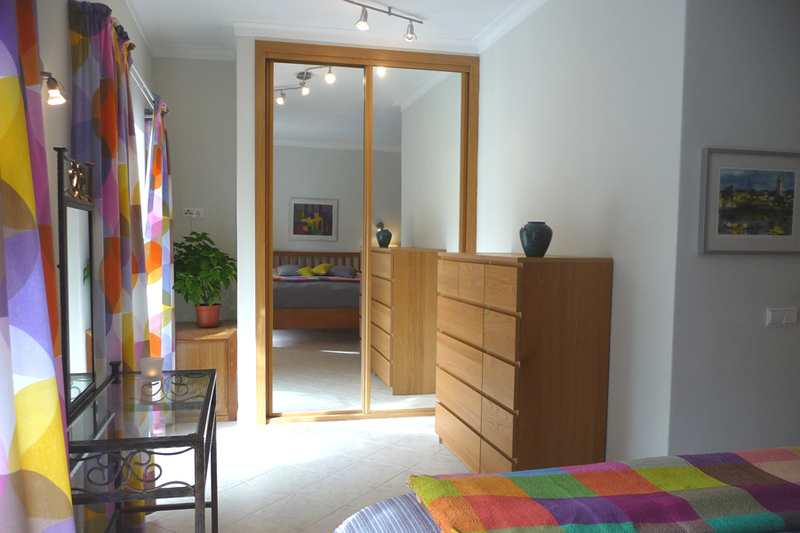 The third, smaller bedroom has two single beds and a small wardrobe. There are air conditioning units in each of the bedrooms and the lounge. The pool area has ample terracing complete with patio furniture and a gas BBQ. 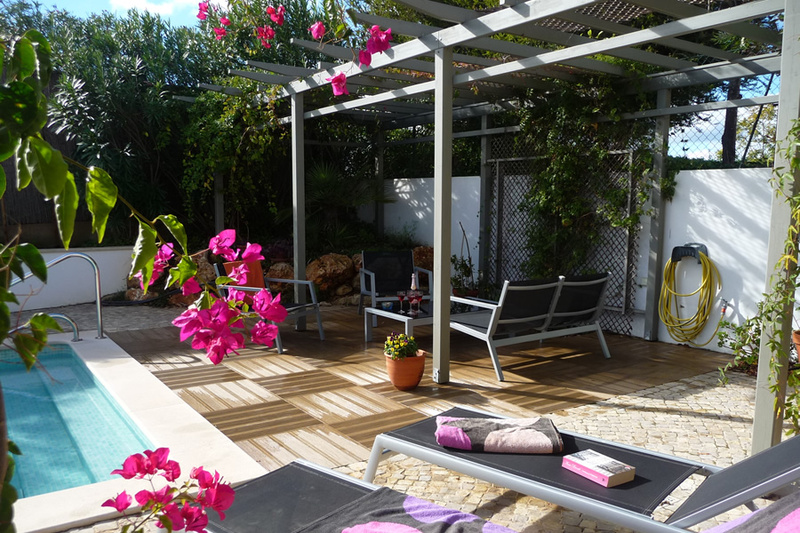 This villa is ideal for those wishing a quieter location but still having easy access on foot to the town. Although the town is only a 15 minute walk away, there is a small supermarket and restaurant only a 7 minute walk from the villa. 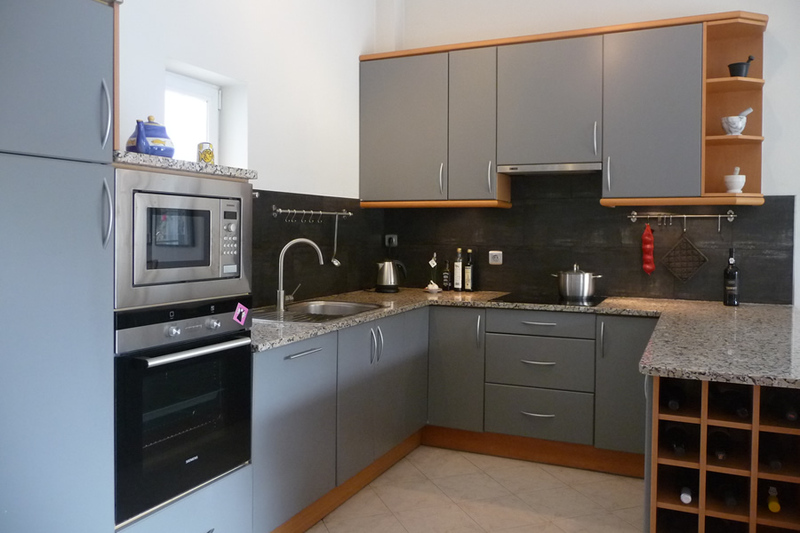 A very nice rental property in a great location. Carvoeiro has three golf courses, all are easy accessible from the villa and only a very short drive away. 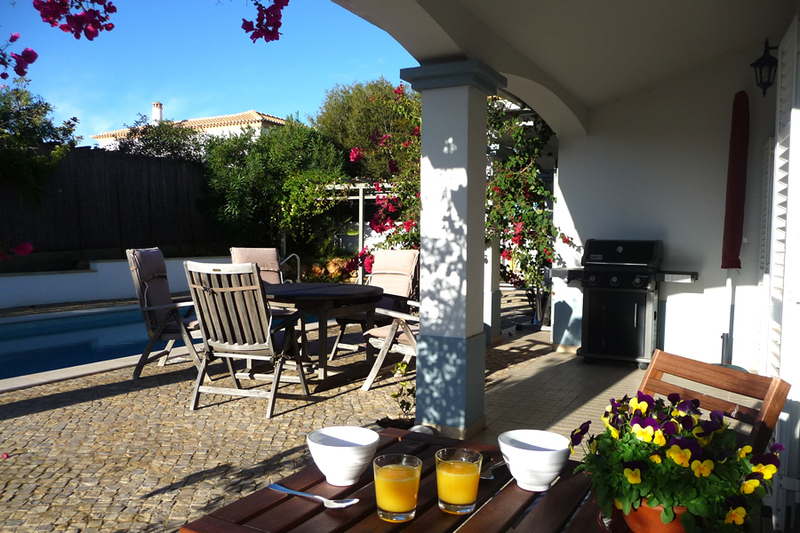 The Carvoeiro Tennis Centre is only minutes away by car. The centre of Carvoeiro boasts an excellent array of restaurants and bars and is only a casual 15 minute walk. 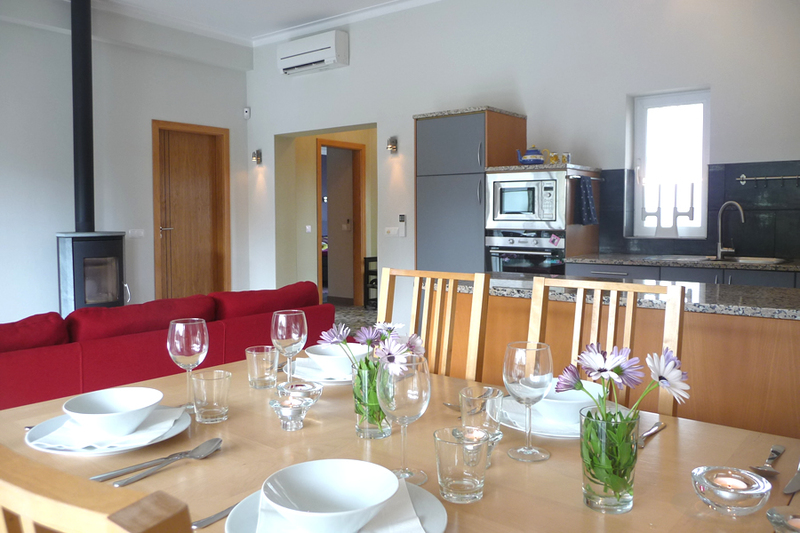 The villa is not available to rent throughout the Winter months.